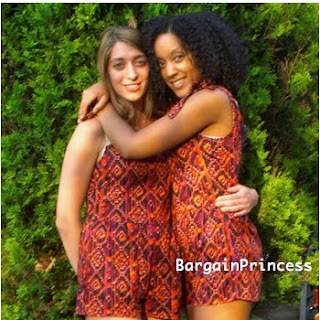 They had other colors to pick from, but my friend (Jennifer) and I really like the red, orange, and purple tribal print romper instead. 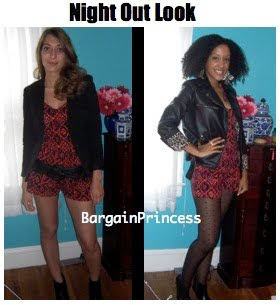 Here's a couple looks we put together to show you how versatile rompers can be for different body types. Also, make sure to check out my video: "Romper: Styled 4 Ways on 2 Different Body Types", for a few laughs and giggles.